It is the cookie baking season – the store bought ones aren’t enough and it does not feel right at least until you bake some fresh. Even when pressed for time you cant control the urge to run to the refrigerator section of the stores and grab the slice and bake box of cookie dough! Yes, it is that season. I don’t make cookies often – but come December I too whip up a few batches. 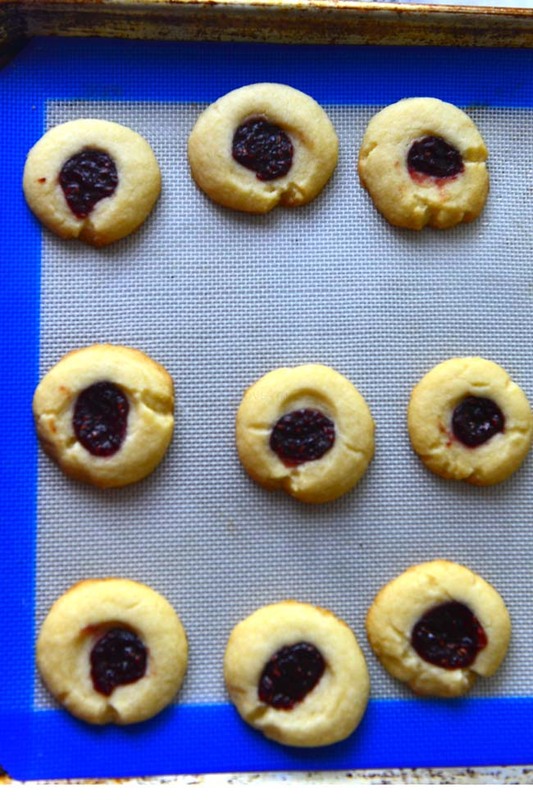 Of all the cookies that I make this is my favorite – Thumbprint cookies . 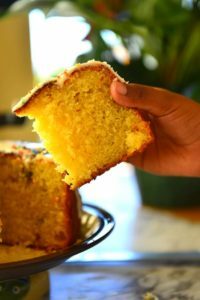 It is cute, easy and the recipe is so simple that you can memorize it easily !!!! My kids have been helping me make this as soon as they were old enough stand up and push their fingers into the dough ! I am not sure who had more fun with it – I or them. Filling the indentations with jam was exciting , not to say messy , part of it all. Here in US these are called thumb print cookies and rightly so . 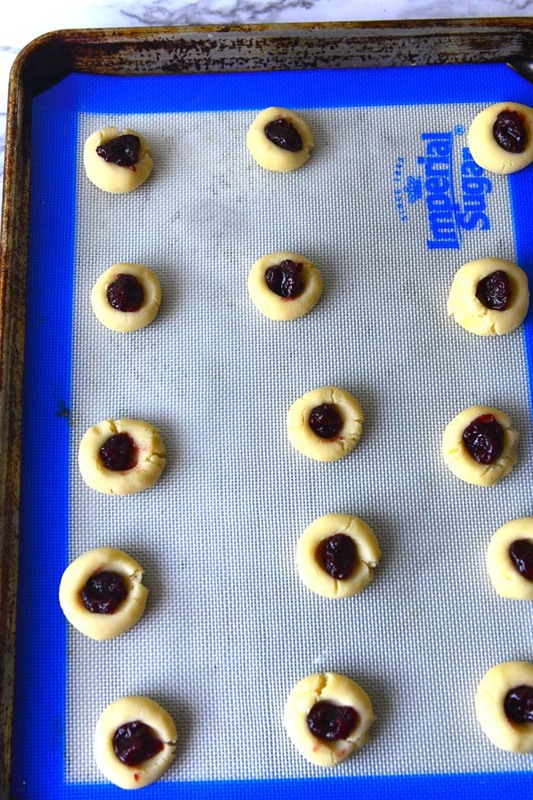 You press your thumb int the cookie dough to create that perfect sized indentation to hold some jam! You could make it with many different cookie dough – almost all similar to shortbread. This s one of the simplest of all – the Swedish version Hallongrotta. Hallongrotta literally translates to raspberry cave and indeed it is . 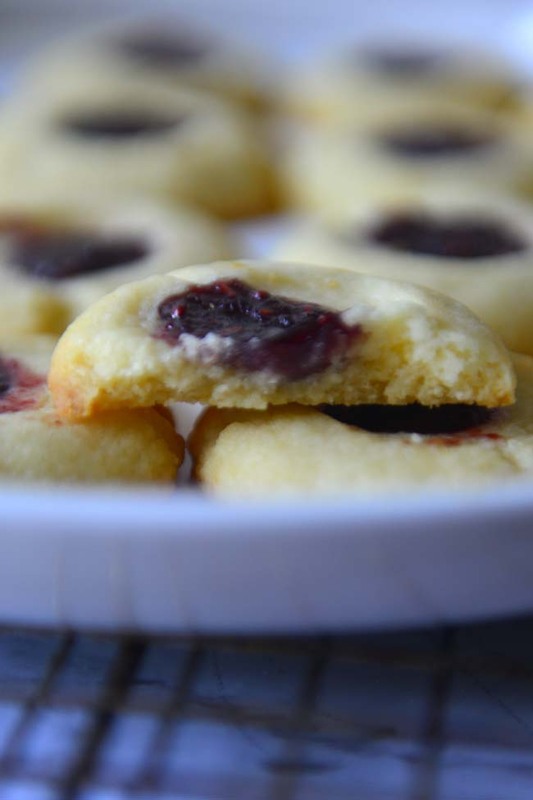 Make a small cave in the cookie dough and add the raspberry jam to fill it up ! Sometimes I like to put these in cupcakes paper cups and bake as well. This is to make sure that the cookies do not spread out more and rise upwards. But more often than not these go straight on the cookie sheet. These cookies are baked at a slightly higher temperature than usual – 400°F (205°C) than the standard 350°F. These crisp up faster and do not spread as much . There is a touch of baking powder in the cookie dough. You could opt not to use that, but it does add to the flakiness of the cookie. The recipe asks for unsalted butter – but strictly speaking one could get away with most of the salted butters in the market. Unless the butter tastes salty it should be fine. Feeling up to Christmas baking challenges ? Give these a try. Mine aren’t the prettiest of them all , and you can definitely do better. Make these in mini cupcake cups for better shaping. Add chocolate bits or candied peels instead of jam for a different look . 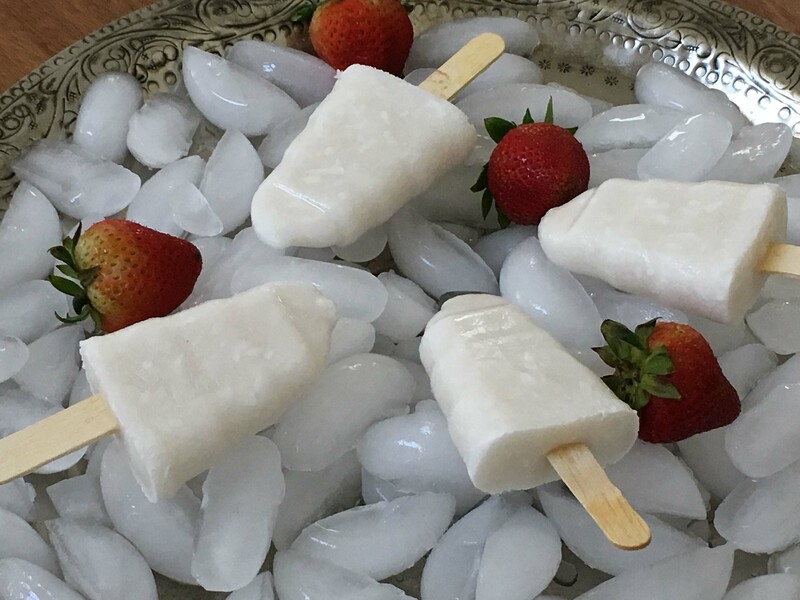 Instead of Vanilla , use almond or lemon flavoring for an interesting flavor twist . I usually double the recipe and freeze one batch . They freeze well up to 3 months , though it rarely last that long. 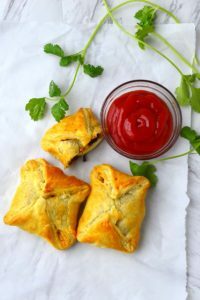 Here is the recipe for Hallongrotta. It is a small batch making about a dozen cookies. I would advice you to DOUBLE or even TRIPLE! Hallongrotta are popular Swedish cookies. The crumbly cookie is mad e with a simple shortbread dough. 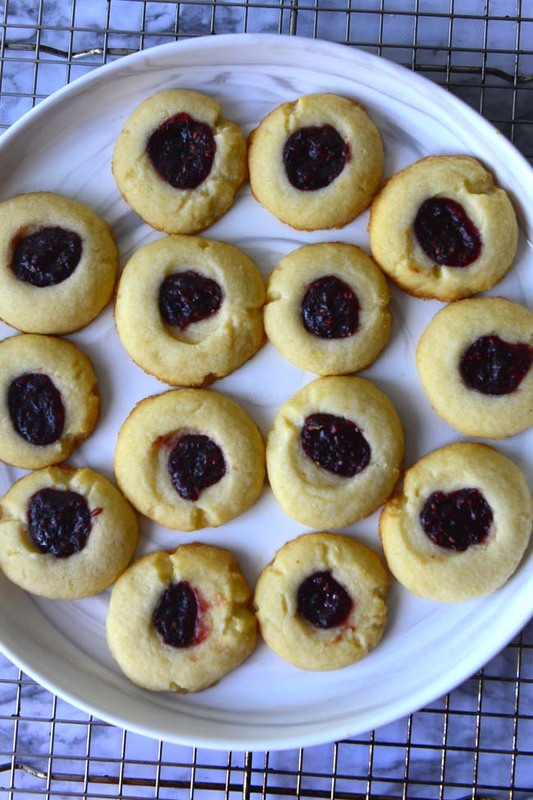 Raspberry jam in the center adds a nice visual appeal to these cookies. This is an easy cookie to make even for beginners. Bring the butter to room temperature . Take the butter and sugar in a medium bowl and mix well until nice and creamy . Scrape down the sides of the bowl a few times while creaming. Add the vanilla and mix well . Add baking powder and salt to the flour. Sift and mix well. Add the flour mix to the creamed butter in batches. Mix until the flour is incorporated into the butter. Don't forget to scrape the sides . Form into log. (Notes) Cover tightly with a plastic and refrigerate/ freeze if using later. Divide the log into 12 equal portions. Form each portion into a ball. User your thumb to make a deep indentation on the ball. Fill about 1/2 tsp jam in the depressions. If the shaped dough feel too soft or spreads - refrigerate until it feels firm (30 minutes to 1 hour). Preheat the oven to 400 °F (205°C). 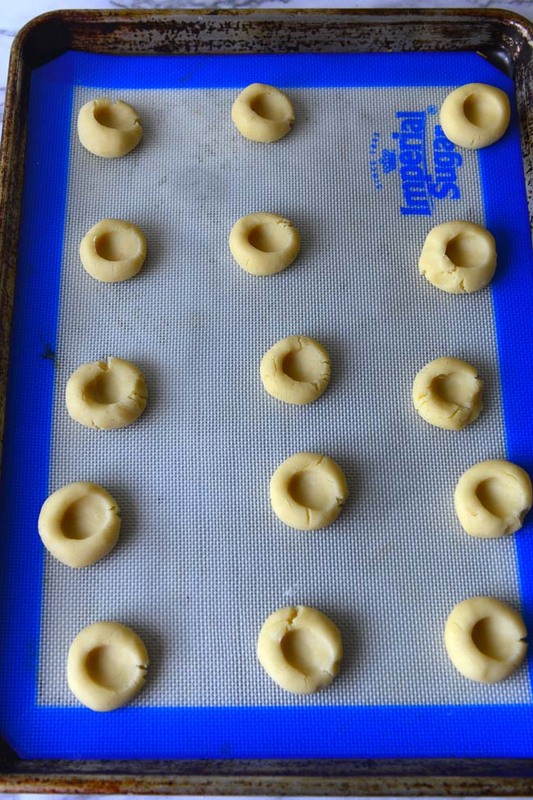 Place the dough balls 2 inches apart on a baking sheet lined with parchment paper or baking mat . Bake for 12 to 15 minutes. HT e cookie is done when the edges begin to look golden brown. Cool in the pan for 5 minutes . Transfer to a cooling rack and cool completely. Start with room temperature (softened) butter. Don't be shy when making the thumb impression. Make an indentation that is almost all the way to the bottom. This recipe is estimated to make 12 cookies. The calorie/cookie is approximate. Try these other cookies too .. Originally published in Dec 2015.